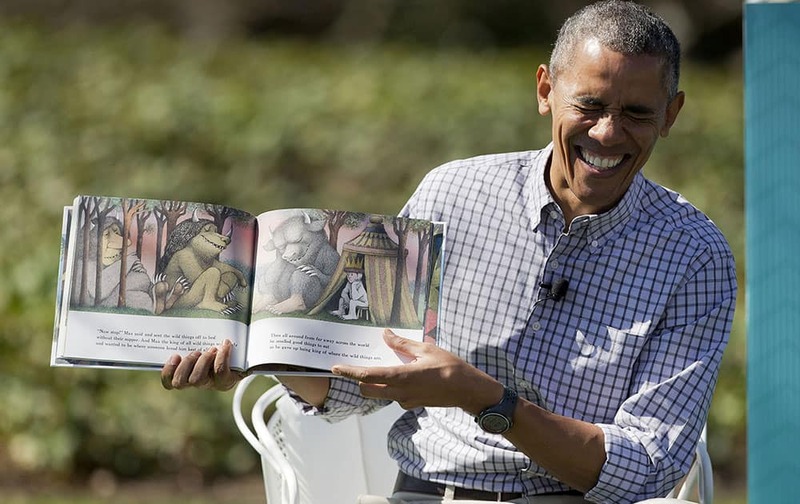 President Barack Obama begins to laugh as he reads "Where the Wild Things Are" by Maurice Sendak, during the White House Easter Egg Roll on the South Lawn of the White House is Washington. 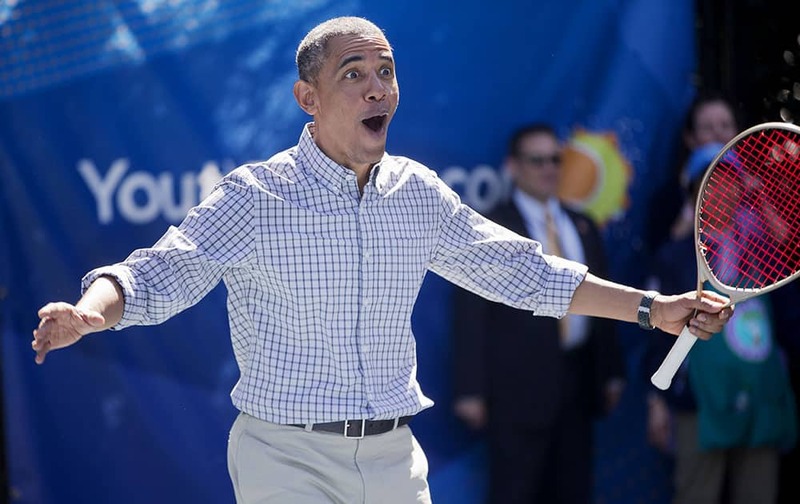 President Barack Obama reacts to scoring on Caroline Wozniacki a Danish professional tennis player as he plays tennis during the White House Easter Egg Roll on the tennis court on the South Lawn of the White House in Washington. Genevieve Goings, star of "Choo Choo Soul" on Disney Junior, left, walks with first lady Michelle Obama during the Easter Egg Roll festivities on the South Lawn of the White House in Washington. President Barack Obama hugs Caroline Wozniacki, a Danish professional tennis player, after playing against each other at the White House Easter Egg Roll on the South Lawn of White House in Washington. 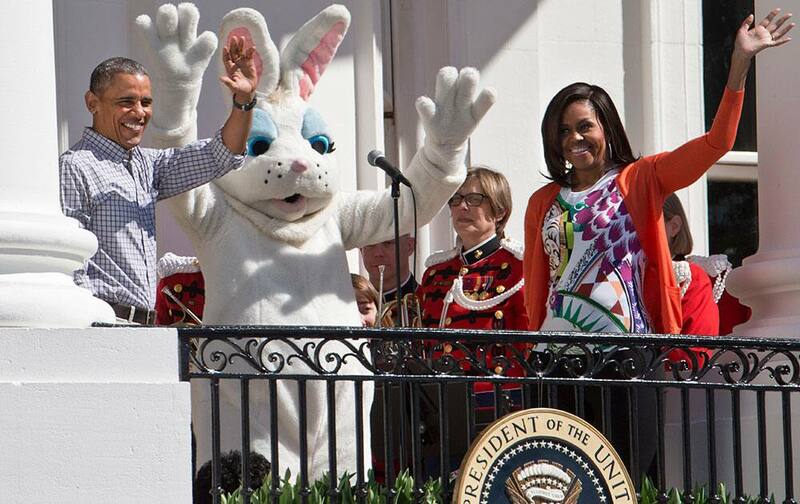 President Barack Obama and first lady Michelle Obama wave with the Easter Bunny as they greet families participating in the White House Easter Egg Roll on the South Lawn of White House in Washington. 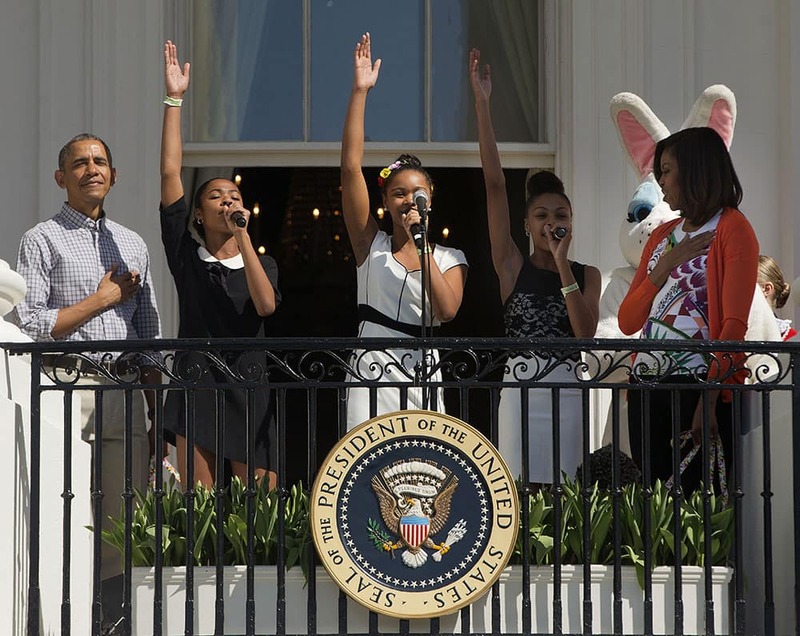 President Barack Obama and first lady Michelle Obama listen to 'iD4GIRLS' perform the National Anthem during the White House Easter Egg Roll on the South Lawn of White House in Washington. 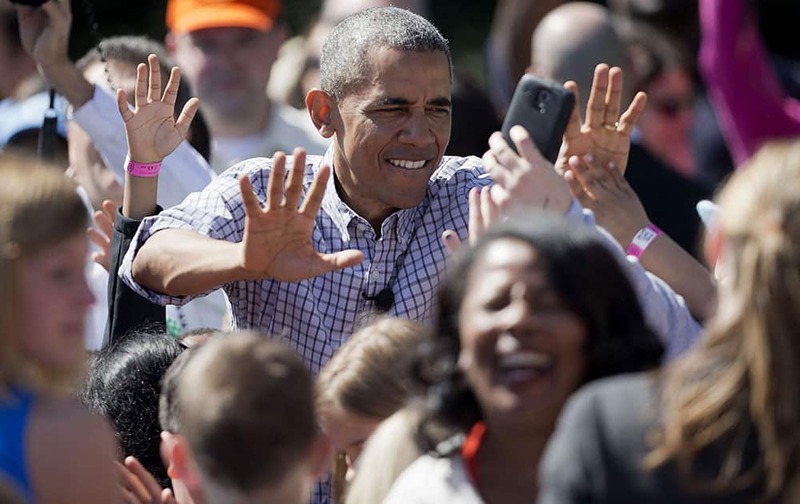 President Barack Obama greets guest during the White House Easter Egg Roll on the South Lawn of White House in Washington. 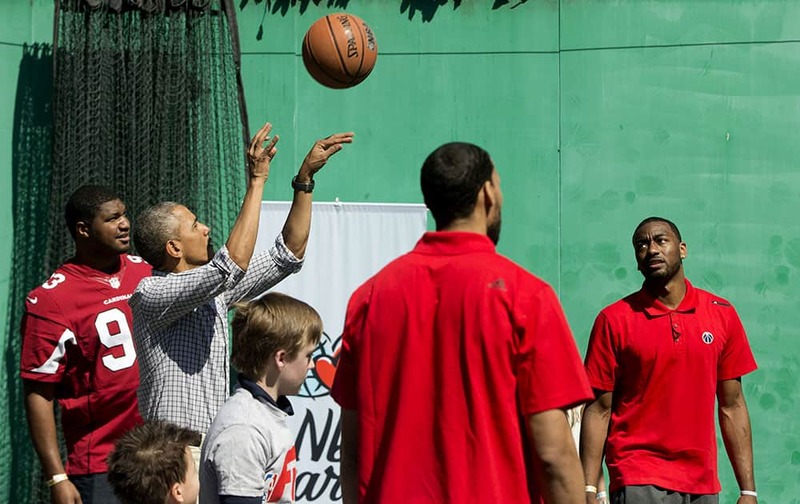 President Barack Obama shoots a basket as he plays on the basketball court on the South Lawn of the White House in Washington during the White House Easter Egg Roll.